Johnson is the daughter of Demond and Lisa Johnson. 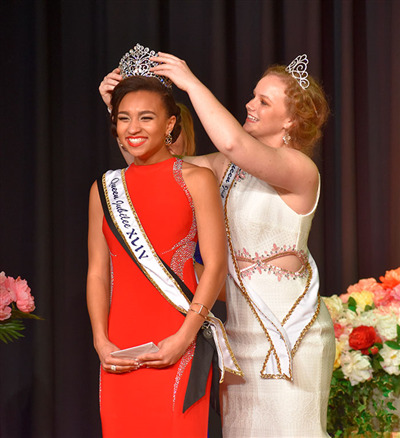 For winning the Queen Jubilee XLIV title, Johnson received a $1,200 scholarship. She plans to attend the University of Mobile, studying Musical Theatre. 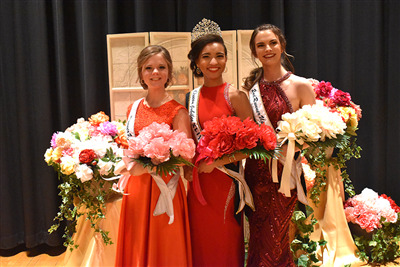 Johnson also received a $400 scholarship for winning the talent portion of the pageant and a $250 scholarship for winning the community involvement award. 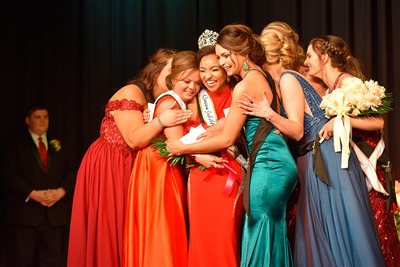 For winning first runner-up, Bockey, daughter of Doug and Sherry Bockey, received an $800 scholarship. For winning second runner-up, Taylor, daughter of Darrin and Shanay Taylor received a $600 scholarship. Congratulations Michaella!...I represented Willshire High School "way back" in 1959. I was proud to represent my school and was honored to be a runner-up. My how times have changed, our gowns were selected and given to us by the Peony Committee. I now call Georgia home. Have fun, God bless. This comment has been hidden due to low approval.